Fidelity Investments' head of talent acquisition weighs in on the importance of inclusiveness, how recruiting can be biased and why technology is critical. Diversity -- what your workforce looks like from a demographic perspective -- and inclusion -- how welcoming people are to all types of employees -- are both critical to the success of your organization. To that point, Deloitte's "2017 Global Human Capital Trends" report found that more than 69% of executives believe diversity and inclusion are important issues. Fighting these workplace biases -- many of which can be unconscious and not even known to a person holding them -- doesn't just happen. "Anyone who's gone through unconscious bias training [knows that], at the end of the day, everyone has ... biases," said Paul Lesser, head of talent acquisition at Fidelity Investments. That's why promoting diversity and inclusion in the workplace is a critical focus area for Fidelity. To uncover some of its strategies, SearchHRSoftware spoke with Lesser about recruiting for diversity, why inclusion is critical, how technology can ferret out job ad bias, and diversity and inclusion best practices. Like most companies, Fidelity faces significant recruiting challenges. Since Fidelity delivers the majority of its financial products and services through technology -- the company employs more than 10,000 technology professionals -- the company must compete for software engineers, systems engineers, data scientists and systems analysts. Lesser said the changing economic landscape and competitive, candidate-driven market requires that companies need to step up their recruiting game. "You really need ... to explain what it is your organization is doing and, more importantly, how people can contribute to that," Lesser said. And Lesser means all kinds of people. "The data that you read is very clear on the fact that diverse teams are more innovative," he said. "Diverse teams tend to challenge each other more and produce, ultimately, a better product and -- most importantly -- are often representative of the customer base that you're looking to attract." He's not just talking about diversity in terms of ethnicity and gender. Lesser said the company believes diversity of thought is what develops innovation and great ideas when developing software or choosing stocks. "It challenges individuals, and more importantly, it gives everybody on that team an opportunity [to be influenced by] a very different perspective," he said. That cross-pollination of ideas can, in turn, expand individuals' capacity to create new kinds of ideas and strategies and boost cognitive diversity. It would do no good to recruit a smart, diverse group of talented individuals if, once they got to the company, they felt ignored, judged or otherwise unwelcome. To that point, Lesser said, "I think [inclusion is] even more important than diversity." He said that inclusion is really about feeling that you are part of something, that you're heard and considered, regardless of whether you come from a different company, industry, background or field of study. This sense of welcome is a "really important part of [Fidelity] culture," he said. To this end, the company has established employee resource groups across its global sites to support different ethnicities and genders, as well as ERGs for empowering people with disabilities and the LGBT community. Lesser said the ERGs serve to make individuals feel welcome, surface potential issues and uncover new ideas. Like diversity, inclusion efforts have a way of spilling over into customer experience. With the demographics of customers changing, a more diverse mix of employees who value inclusiveness can better excel at customer service. For example, with women making more household financial decisions, they represent a growing number of Fidelity's potential customers, Lesser said. With these changing demographics and the needs of the customer constantly shifting, it's really important that women are better represented within the company and are welcome once they get there. The recruiting process is a key area for boosting diversity and inclusion in the workplace, but it's filled with danger zones. We [became] aware, based on industry information and people we've talked with, that the job description process is absolutely something that creates bias. "We [became] aware, based on industry information and people we've talked with, that the job description process is absolutely something that creates bias," Lesser said. He said specific words and phrases can keep some potential candidates from applying, and other aspects of the recruitment process, such as how profile questions are crafted, can also serve as barriers. Did Fidelity have this issue? The company wasn't sure, but as part of its commitment to diversity and inclusion in the workplace, learning this information was a call to action. Lesser said that erecting barriers to diversity and inclusion, such as off-putting words and phrases in job descriptions, are typically "unintended, but at the same time, it's something you need to be aware of [and] do everything possible" to change. That's one place where technology enters the picture. Fidelity uses AI tools to scan its job descriptions and make sure there's no bias. Lesser said the company is looking to AI and machine learning tools for more unbiased resume screening as well. In addition, Fidelity has partnered with LinkedIn on some pilots to make sure the company is bringing in diverse candidates. Lesser pointed out that Fidelity gets "hundreds of thousands of applicants" seeking employment with the company. One way the company streamlines that process is with its use of HireVue, the video interviewing platform that uses AI to screen candidates. With HireVue, candidates record answers to a number of interview questions, giving the candidate a more dynamic way to present themselves and also giving Fidelity an additional resource when selecting candidates for the next step. Using recruiting technology has helped the company measurably increase diversity, an effort it regularly tests, according to Lesser. He said the company has seen an uptick of diverse candidates coming through the talent pipeline and the interview process, as well as more diverse candidates being hired. The company has also seen its achievements recognized with external awards, such as a "Best-of-the-Best" award for diversity in 2017 by the National Business Inclusion Consortium. Despite the company's success in increasing diversity and inclusion in the workplace, Lesser said it is open to continual improvement and learning. "[We're] willing and open to hearing ideas from other firms on how to improve this area," he said. Inclusiveness can touch on potentially overlooked areas -- for example, how you reach out to potential job candidates. "[For] most 18- to 21-year-olds nowadays, email's archaic, [and] voicemail doesn't exist. So, if you want to get to them, you have to think about texting them," Lesser said. When Fidelity recruiters ask potential candidates how they prefer to be contacted on college campuses, "99.999% ask to be texted," he said. With experienced candidates, it varies. "Some people would rather have an email, some people would rather have a phone call [and] some say, 'I would much rather have you text me.'" 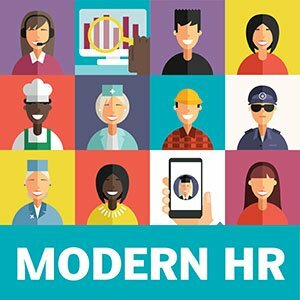 In other words, in the era of modern HR, the shades of diversity and inclusion have broadened considerably and touch on all aspects of the candidate and employee experience. To this end, Fidelity's programs are more than skin-deep. "You could be doing fund accounting, but you could be going to clubs to learn about cloud computing or what's happening in cryptocurrency," Lesser said. Listen to the podcast at the top of the page to glean more insights about Fidelity's diversity and inclusion efforts. What strategies can you offer for boosting diversity and inclusion in the workplace?